For the next two weeks of 2016, we will be updating our website! Come back and visit in 2017 for stories and updates! Hello all, Kayla here. We are happy to report that Simonette and the surrounding areas Touch of Hope serves suffered no damage from Hurricane Matthew. All of the children at Tytoo have returned back to the orphanage after staying offsite for three days and the community school plans to reopen next Monday. Images and reports are starting to flood our newsfeed with the damage that occurred in the south of Haiti. Our hearts break for the families that now face a long road to rebuilding their homes and livelihoods in a country that is already so hard to prosper in. My biggest prayer is for our eyes to be opened to the country of Haiti with a new sense of urgency. May we open them and react with wisdom and actions that will lead to a real, long-term solution. May we not respond emotionally, dumping our excess of clothes and materials on a country already full of American, second-hand waste. May we research who we are giving our money to and give graciously, humbly and generously. At this time Touch of Hope will not be collecting funds for hurricane relief because we simply don’t need it. However, we want to direct you to organizations that we believe will make the largest impact on the people who were directly affected by the hurricane if you are wanting to donate to the relief funds in Haiti. 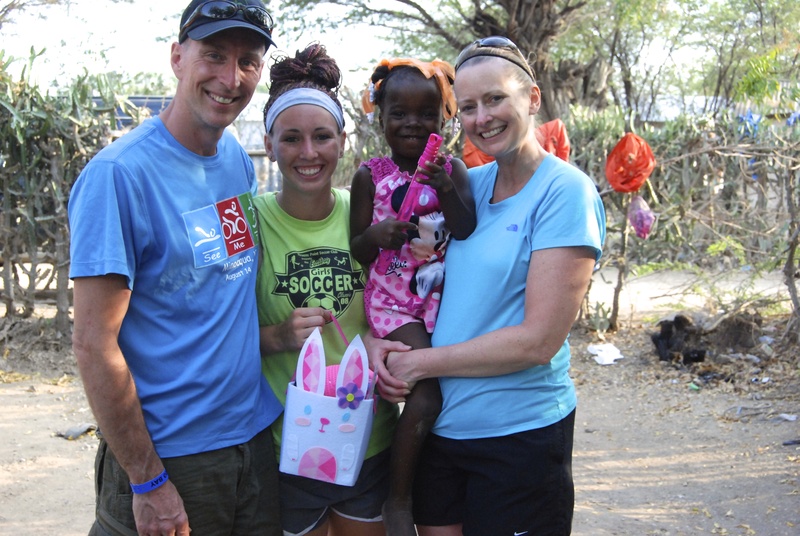 The last organization we personally know is Mission Haiti, founded by people from Tea, South Dakota. Mission Haiti is located in the south part of Haiti in Ti Riviere. They report, “While we thank God for sparing Mission Haiti’s employees and missionaries, we also mourn for those who have experienced great loss. Our village of Ti-Riviere and the surrounding communities have experienced unbelievable destruction. Roofs are blown off. Homes are destroyed. Trees are blown down. Roads are washed away. Families are displaced. We thank you for trusting us and we pray you are led to help Haiti in a way that will have a long-term effect. The new school year has started and we couldn’t be more excited! This past summer was one of our busiest summers yet as we constructed and painted the new high school building, registered over 1,000 students, poured new side walks, updated the outside gate and had a Haitian artist add fun murals around the school ground. The first day of school was September 5th. 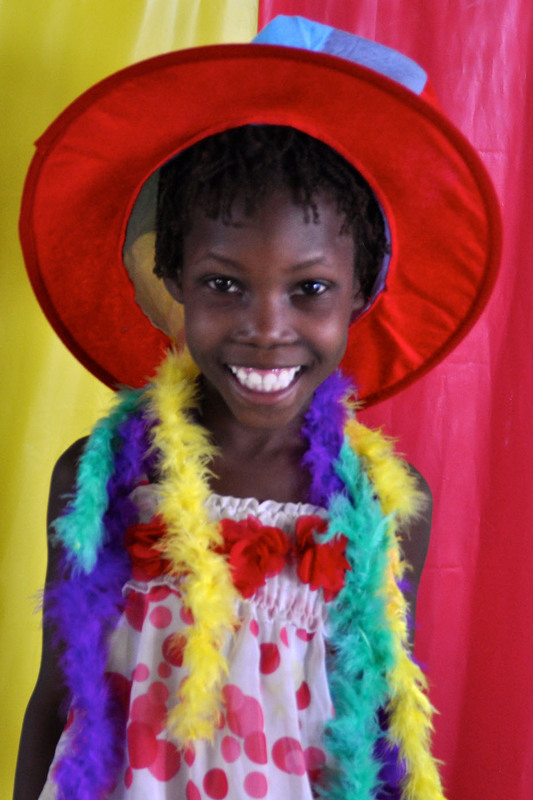 For those of you who sponsor children, we hope you enjoy the new picture of your student! This past summer, we also opened a bakery in the community, which will be run by our new full-time staff member, Justine. The bakery will provide bread for our breakfast program at the school, bread to the community and we hope it will create many jobs for people in the community as well. 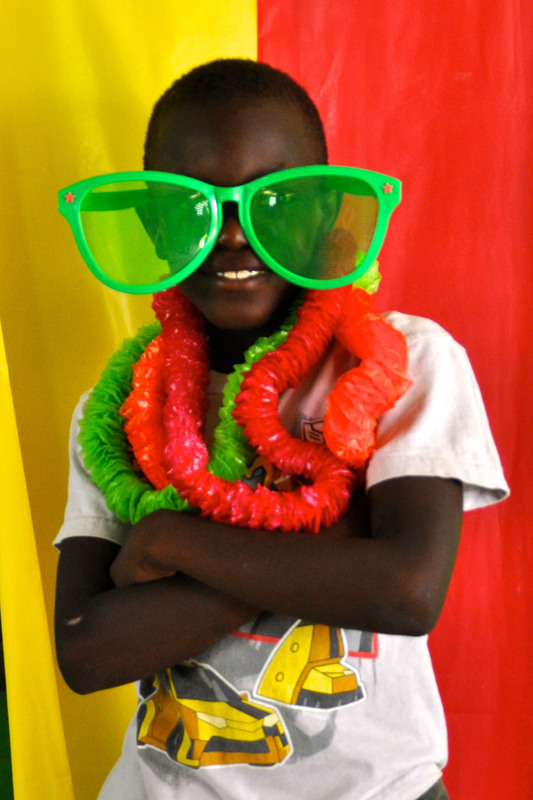 The summer was also packed full for the kids at Tytoo Gardens Orphanage. We had an intern from Canada who spent her days teaching English to the kids. They had daily English classes, a reading program and a reward system which kept them very busy. The older kids also participated in a soccer program run by a neighboring organization. They all got their own uniform and for most of them it was their first time being a part of an organized sports team. Our summer was struck by tragedy, however, on July 17 when one of our three-year-olds at the orphanage passed away very suddenly from sickness. His name was Renato and we are still grieving his loss, but we remain hopeful, because we know we will one day get to dance and play with him again in heaven. We love and miss you Renato! Lastly, our summer was very busy for us personally as Webert and I sought legal guardianship and travel visas for our three children. As of September 19, we were granted visas and my three children will be arriving in the States for the first time on September 29! I also spent the summer very pregnant, making it a very long and hot summer, but we look forward to meeting our daughter – due October 10 – with Webert and the children all here in the States to welcome her. If God taught us anything this summer, it is that He remains faithful through ALL things. Over the course of the last ten years, He has remained faithful to the dreams he gave Webert to start a simple school for the kids in his community. This year we will celebrate ten years since Webert started a school with 36 students in a palette building. 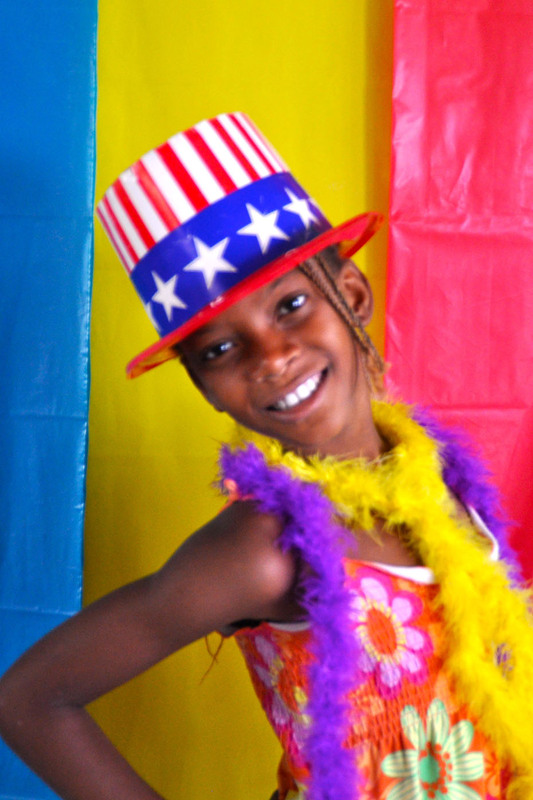 We will celebrate with over 1,000 students, 60+ school staff members and a whole community of people in America who support our efforts to educate the future generation of Haiti. He remains faithful to providing for the orphans of Haiti and doing great things through the children and staff at Tytoo. He remains faithful through tragedy and loss. He also remains faithful for our personal needs, wants and desires. We also want to say thank you, as so many of you have remained faithful to supporting, encouraging, and giving to our work in Haiti. In this newsletter we want to give you an overview of all our current ministries and report of some of the great things they accomplished for God’s Glory in 2015. While reading this, please remember that this wouldn’t have been possible without you! Our current enrollment is 1,020 students and we employee over 65 people on a full and part-time basis. Last fall we added tenth grade, so our students can continue getting an education. These students will now have the opportunity to graduate high school from our school. Currently less than 5% of children in Haiti graduate high school. God willing, our plan is to build our 4th classroom building this summer to accommodate the high school. We are also praying about starting a computer lab. We believe two of the things that can really give our students better employment opportunities is computer skills and learning English. We continue to offer a basically free education with the parents paying a nominal fee to help cover the cost of the uniforms. Webert does a great job of having the parents and students be involved in work projects at and around the school in order for them to have pride and ownership in their school. We continue to offer a meal every day which is becoming more important because Haiti’s food insecurity is predicted to worsen because of draught and inflation. Our child sponsorship program is the main source of funds for the schools operating budget, which is currently $11,700 per month. We currently have 251 of the children sponsored and are praying for another 100 sponsorships this year. Please consider talking to friends and family about joining our sponsorship program. Touch of Hope became a partner of Tytoo in 2012 when they were in a severe financial crisis. Today we are responsible for approximately 2/3 of Tytoo’s monthly budget, with the remaining funds coming from the Ontario, Canada area. We will be initiating a new sponsorship program for Tytoo in the near future to help meet our monthly commitment of $8,500. Orphanage -There are currently 36 children living at Tytoo, ranging in age from 2 to 17. Taunya DeWeerd is our North American Director. Taunya, along with a Haitian Director, oversees the staff of 35. Some of the staff are involved in the various outreach programs. 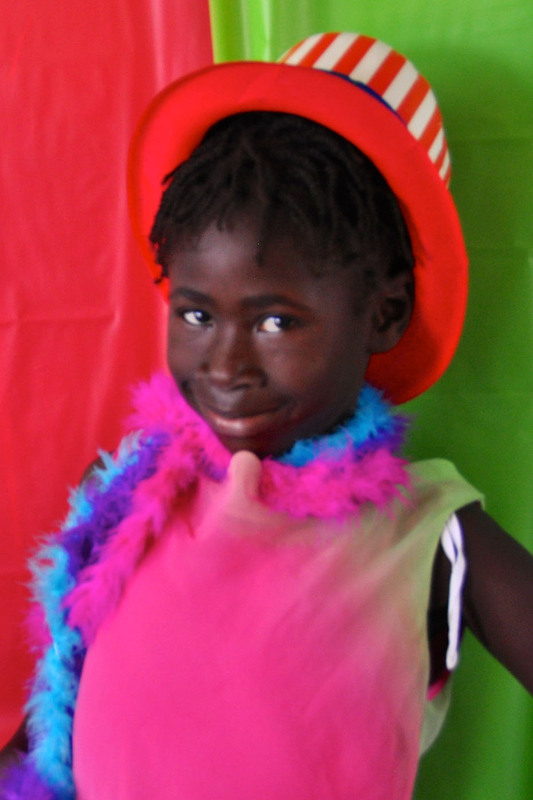 Transition Program – When the children of the orphanage turn 18 they enter the transition program. We provide them with a minimum of technical schooling, housing in the village, and an allowance. We strive to teach them how to become independent, productive citizens in this three year process. There are currently eight young adults in the program, with one being sponsored to become a Doctor. Elderly Program – There are currently 24 elderly in our village that are enrolled. With virtually no government social services in Haiti, the elderly are often overlooked and neglected. We bring them food and hygiene boxes on a monthly basis. Our medical clinic sees to their medical needs by visiting their homes at least once a month. Visiting teams do repairs on their houses or make things that help them with their physical limitations. 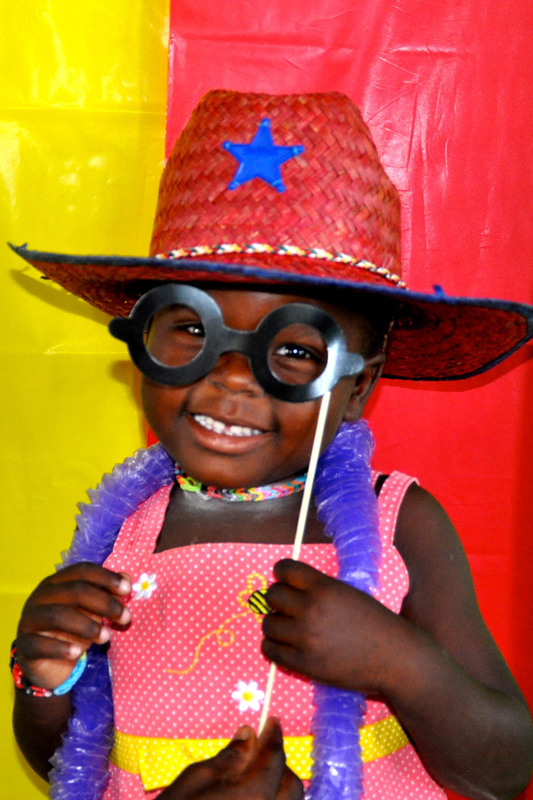 Starfish Program – The purpose of this program is to keep kids out of our orphanage. Roughly 90% of the estimated 400,000 children that are in Haitian orphanages are not true orphans. In most cases the mother or father, or both, just don’t have the means to care for them. There are currently 24 women enrolled in the program, with over 50 on the waiting list. There is a life skill training class held bi- weekly that everyone must attend, this is a Christ-centered program that also addresses their spiritual needs. Most of this program is operated on a one-to-one basis, as every case has such different circumstances and needs. We often have to arrange for housing, see to the mother’s or children’s medical needs, and provide other emergency assistance. After meeting the immediate needs, we provide jobs or use micro-loans to help that family become sustainable. The starfish program runs a depot (small warehouse), where participants can get bulk products on credit to go sell retail in the market or village that they live in. Last year the Starfish program built 11 houses and fixed up over 25 houses (shacks) to make them somewhat weatherproof. Twenty-four ladies graduated from the program in 2015, meaning they had a sustainable income, shelter, and their children were enrolled in school. This program is in its early stages of development. We believe that God wants us to make this program the focus of Tytoo. That by a holistic approach, we attend to a family’s spiritual, physical, and social needs in order to keep it intact. Our goal should always be to eliminate the need for an orphanage. 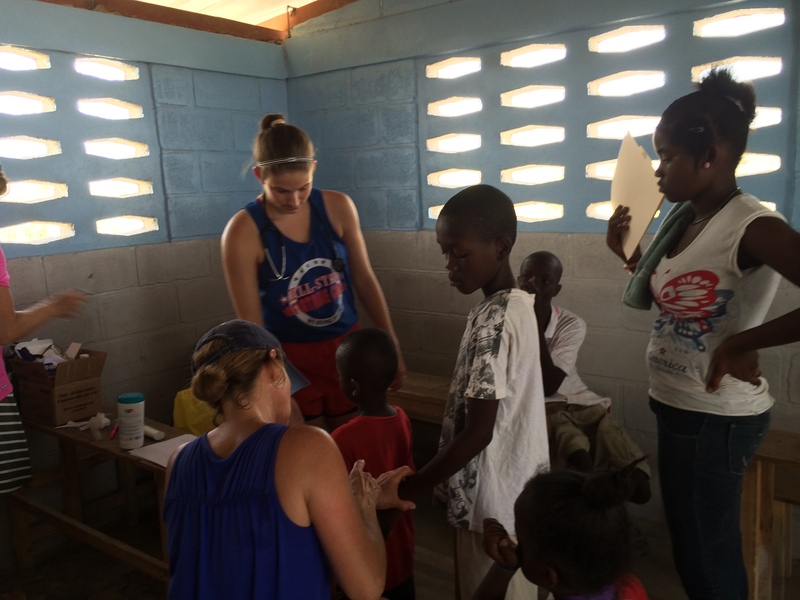 Medical Clinic – Tytoo’s clinic is operated by a Haitian staff and is open 3 days a week. In 2015 the clinic saw 3,027 patients, with the average day being 25-30 patients. There is a fee of $1.50 to be seen, but nobody will be turned away in an emergency. We can usually provide the necessary medications through donations. We also operate a benevolent fund that will help cover the cost of surgeries and hospital stays. At times a lifesaving operation can be covered with as little as $250. We often provide transportation to hospitals in Port-au-Prince. Many lives are saved at the clinic each year. Amazing Grace Church – For over three years Touch of Hope has been a partner of a church plant in our village. We supported Pastor Patrice’s personal expenses during this time. Since 2013 this church met at Tytoo Gardens for worship. A church from Iowa committed to raise funds to build a church building for them. In October a 6,000 square foot building was completed. The sanctuary can hold over 500 people. In March we will be ending our support because we believe this church can now be self-supporting. Kayla & Webert – Kayla began 2015 with the 5 Homes Campaign, which raised money for five of the cooks at school that were still living in tent shelters left from the 2010 earthquake. God provided enough money to build 10 houses. Kayla and Webert also administer the Lazarus Fund. Almost daily someone is at the gate of their house that has a desperate need and on more than one occasion Kayla had given away their grocery money. The Lazarus Fund touched the lives of 97 families last year by either direct emergency aid or loans. You name the need and most likely the Lazarus Fund fulfilled it for someone. This fund also directly saved several lives. Touch of Hope was founded in April of 2011. We are truly humbled by what God has done with it and through it in less than five years. We could have never imagined it. We thank God for each of you that partner with us in so many ways. TO GOD BE THE GLORY!!! Well guys, school registration is officially in the books for another year! Over 900 students registered and are now preparing their uniforms with anticipation for the new school year to start. The first day of school will be September 7th and lots of work still needs to happen before then! Books need to be bought, benches need to be built and the school rooms need to be cleaned and prepped. As I edit and put together updated sponsorship cards, I’m so grateful to all of you who are walking this journey with us at Touch of Hope and our students. Without the support of sponsors, we would not be able to keep our school open and running. And as you can tell, there’s lots of running to do with 900 students! We pray with anticipation for a new school year. For the children to be energized, healthy and able to learn. For the staff to be energized, motivated and able to teach. For all materials to arrive on time and for all things to fall into place before the flag is raised on our first day of school. There’s no better time than now to join the excitement of a new school year by sponsoring one of our students, click here to learn more about our sponorship program. 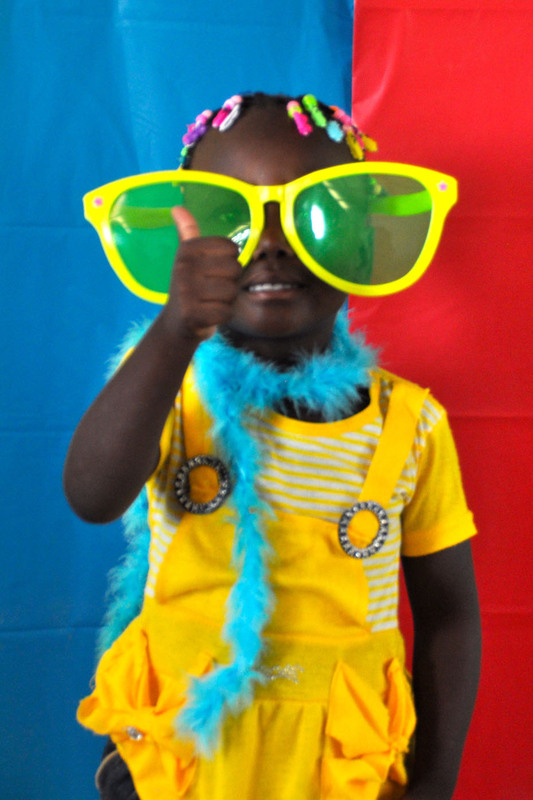 In the meantime, enjoy a few fun photos from our photo booth we did with the children during registration! Megan here, the middle child in the Grooters clan. I’m the one who lives in Sioux City, Iowa and I work at Sunnybrook Community Church. 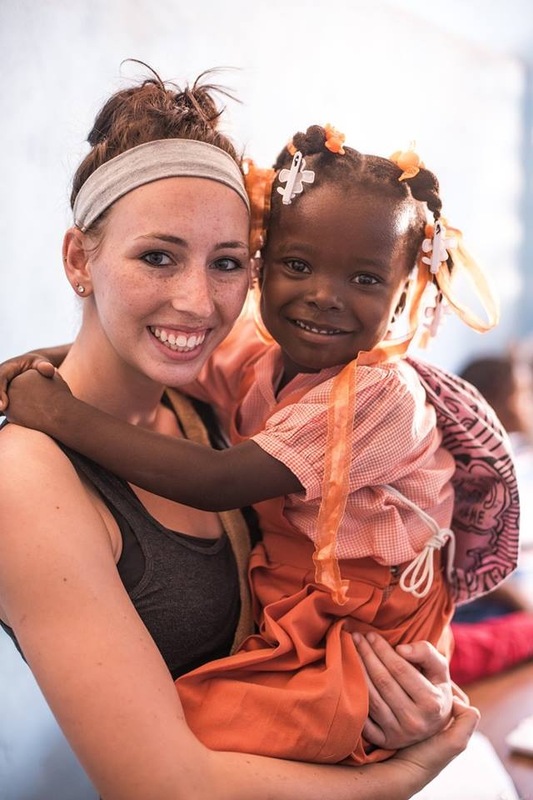 When talking about Haiti to others, I usually get asked “So do you think you’ll ever move there like your sister, Kayla?” And my answer is always a kind “No, I don’t believe so.” You see, I’m very confident in where God has me right now and how He is using me to do His kingdom work right here in Iowa. Don’t get me wrong, I absolutely love Haiti. The people, the beautiful landscape, the sun & heat, and even the smells. I love that I can call Haiti my second home and that its home to my cute nephews and niece. It’s always hard to leave after short stays and I find myself homesick for that place far too often. 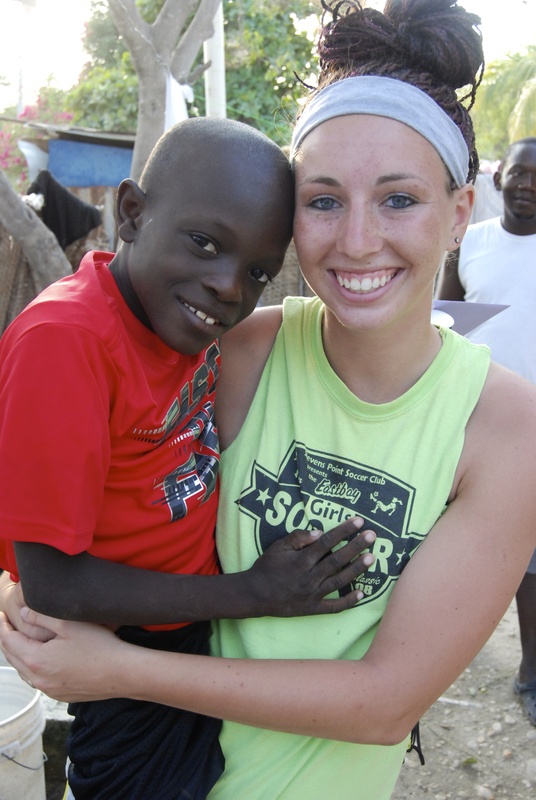 But my deep love for Haiti doesn’t change the calling God has for me in Sioux City at this time in my life. In fact, God is SO GOOD that He has uniquely aligned my “real world” job at Sunnybrook to work alongside Touch of Hope and my family’s work in Haiti. Prior to me working at Sunnybrook, they began supporting Touch of Hope and committed to help raise funds for a church there. Now at Sunnybrook, part of my job is being the Missions Assistant, which means I help coordinate and plan our mission’s trips and events. So just two short weeks ago I found myself leading my first team from Sunnybrook to Haiti to help Webert and my sister tackle school registration for the upcoming 2015-2016 school year. A very different trip for me, indeed. Rather than going to get away and spend time with family, it was a mission trip packed full of work and projects, and more importantly leading a team of 11 people throughout the week. And this is my job?! It’s almost too good to be true! The team visiting Rosie’s one afternoon. Tuesday through Friday, the ladies of the group spent the majority of our day on the mountaintop registering students for school, which included health physicals and a fun photo booth for sponsored students (pictures to come for all Sponsors!). 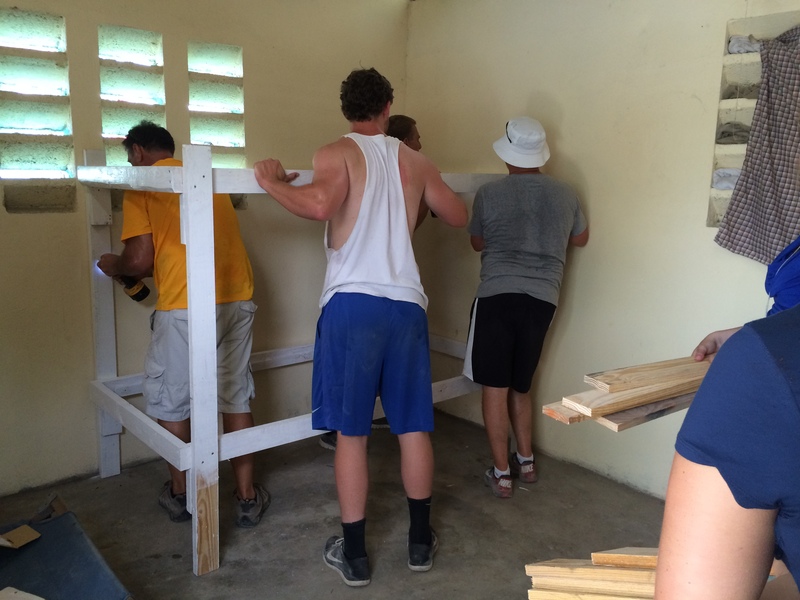 The men were hard at work, too, building bunk beds to later be distributed to homes in the village, pouring a cement floor, fixing bikes, and finishing other odd jobs around the Tytoo grounds. Briefly put, we had an awesome week and I couldn’t have asked for a better group of people to lead! Delivering bunk beds to homes in the village. For the sake of this blog (& since I’m not as good of a writer as KaylaJ), I just want to highlight two special moments from the trip. First, one of my very good college friends, Amber Patzlaff, was part of this awesome team. I enjoy sharing my love for Haiti with others, but even more so when it is a good friend! 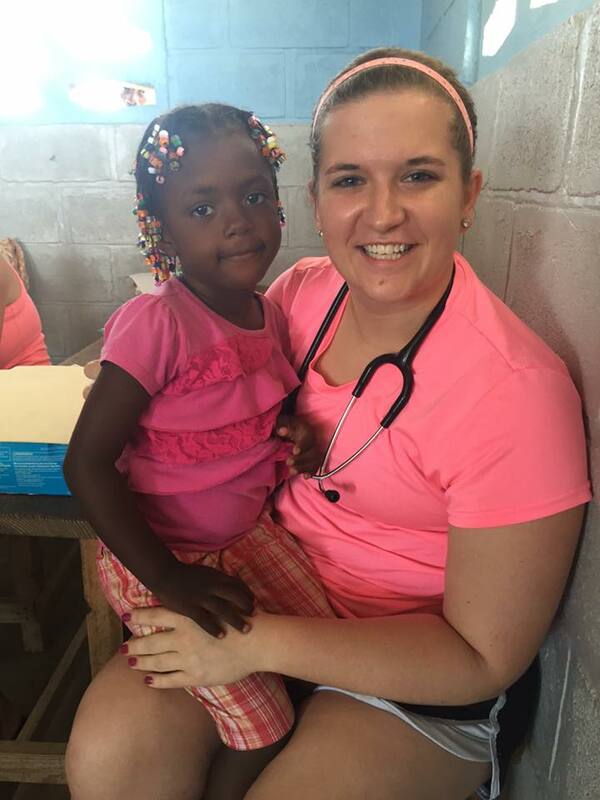 Amber had always told me she wanted to go to Haiti with me someday, so after just graduating with her nursing degree, it was the perfect opportunity for her to come and help with the physicals at the school. Amber just began sponsoring a young girl in the school a couple months prior, so was excited to meet her on the trip! I assured Amber we would visit the little girl’s house so she could meet her and give her a gift. Little did I know, sweet Daleene would be one of the first students to register on Tuesday morning! And without me or my sister pointing her out, Amber immediately recognized it was her. The second moment I want to highlight takes place on the mountaintop as well, but just on the other side of the rocky road. The college ministry here at Sunnybrook began fundraising efforts for a church in Haiti almost 4 years ago. On this trip, we were able to see the dirt be moved for the construction of the church to begin. 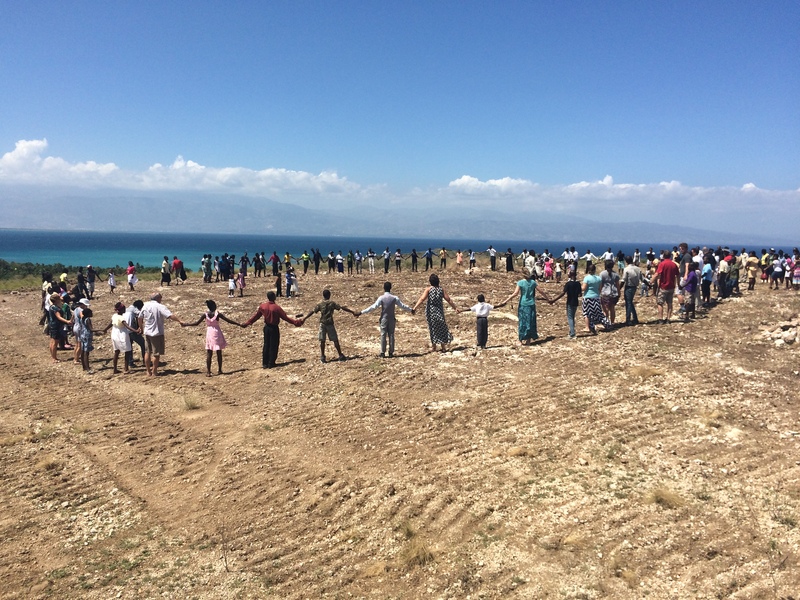 Thursday afternoon the big truck began moving dirt and that Sunday morning, together as a church, we prayed over the land and all that God will continue to do on that special mountaintop. Praying over the land together as a church. In these four years, I had grown impatient thinking the church would never happen and our fundraising efforts were worthless, but then was able to witness how perfect God’s timing and His plans are! Sunnybrook has partnered to help this church in a variety of ways and now construction has begun! By the next time I return, the church should be completed and we’ll be able to worship on the mountaintop with one beautiful view! My boss, Kevin Negaard, and I with Pastor Patrice. 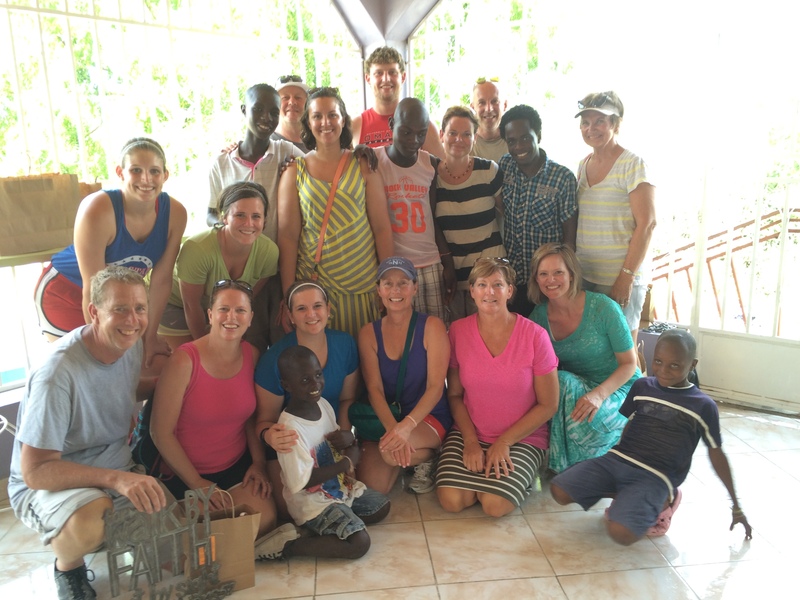 I praise God for these special moments, for another great week in Haiti, and for a great team. I praise God for Haiti and all that place and those people have to offer. I praise God for how He called my parents to serve in Haiti. I praise God for calling my sister to live there and raise a family there. I praise God for my brother-in-law, Webert, and my two nephews and niece. I praise God for the servant’s heart He’s given us all to be His hands and feet in Haiti. And, I praise God for NOT calling me to Haiti, placing me in Sioux City, yet still uniquely allowing me to work alongside my family and Touch of Hope. 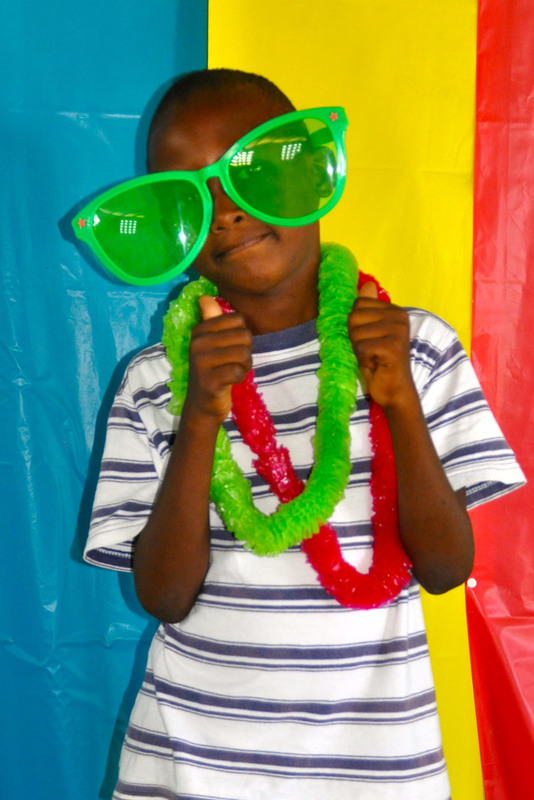 “We were excited as a family to sponsor a child through Touch of Hope Haiti. Kayla, our niece, thought Jay needed a boy in our family (we have 2 daughters), so Kayla gave us one of her favorites in the village, Calverson. 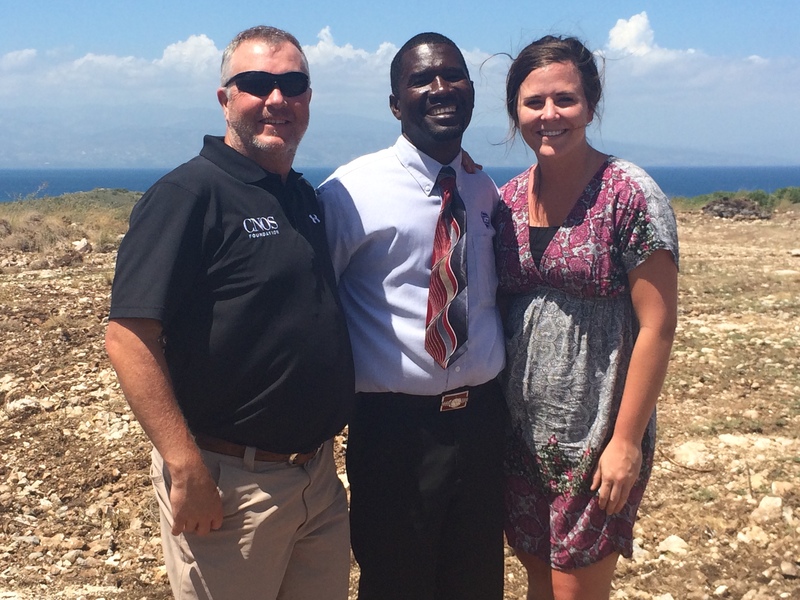 We loved meeting Calverson on one of our trips to Haiti over the Christmas holiday. We loved bringing him gifts and lots of hugs. At that time, you always had to be ready for Calverson to come jump into your arms and wrap is legs around you. I loved it!! We welcomed him into our family,” says Amy. As a family they have been able to grow together and help other children and their families in Haiti.